We are pleased to announce the promotion of Erion Nikolla, Registered Architect, LEED Green Associate to the position of Job Captain. 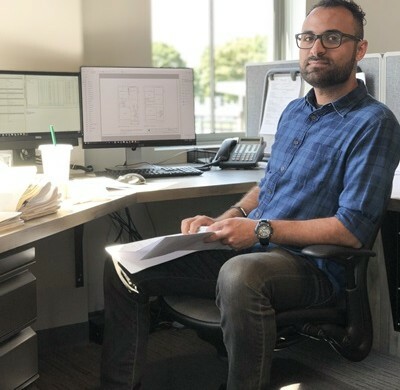 This promotion follows years of full time work at O’Sullivan Architects while attending college in the evening to earn his Bachelor of Architecture degree. David H. O’Sullivan, President of the firm says “we have enjoyed watching Erion grow in the field and witnessing his diligent and very intense preparations for the rigorous series of national examinations. This well-deserved promotion further highlights the value and weight that is placed upon successful completion of the six practice-based divisions of the National Council of Architectural Registration Boards (NCARB) – Architect Registration Examination (ARE)”. 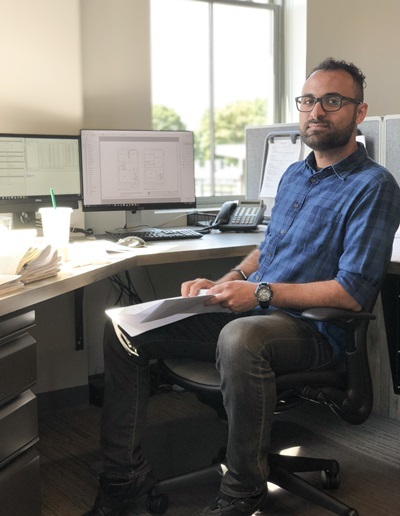 Erion recently passed all six exams and now joins 4,146 other Massachusetts professionally licensed Registered Architects. The ARE assesses a candidate’s knowledge and skills to provide various services required in the practice of architecture. The ARE concentrates on the professional services that affect the public’s health, safety, and welfare. The six practice-based divisions are Practice Management, Project Management, Programming & Analysis, Project Planning & Design, Project Development & Documentation, and Construction & Evaluation. In addition to testing for competence in specific subject areas, NCARB is aware of the responsibilities an architect may have for coordinating the activities of others involved in the design/construction process. The ARE assesses a candidate’s qualifications in exercising the skills and judgment of a generalist working with numerous specialists. In short, the objective is to reflect the practice of architecture as an integrated whole.